Most tennis racquets are pretty plain and frankly boring. If you've seen one, you've seen them all. They don't exactly match your lifestyle or set you apart from the competition. 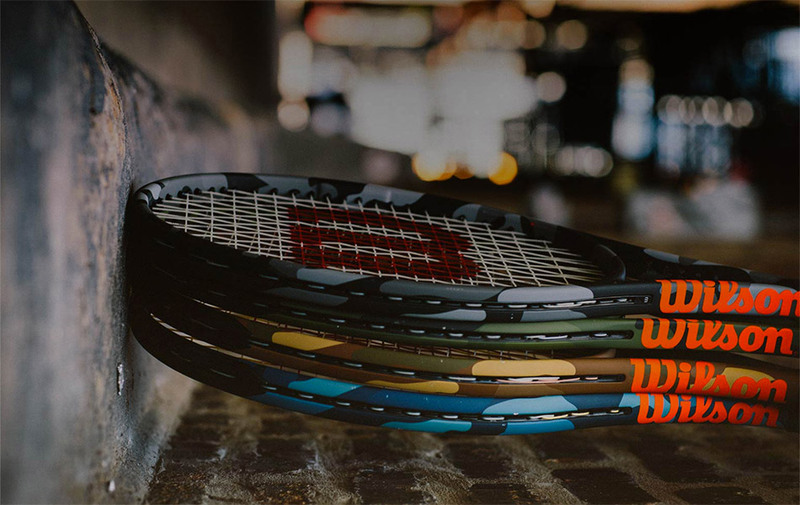 However, the Wilson Camo Racket Collection is the exception to the rule. They come in a variety of camo colors that will make your gear stand out from the crowd. The collection includes racquets, overgrips, tennis bags, backpack, pants, shorts, and shoes. Now they will see you coming and maybe even be intimidated by your game. This is gear that looks good and gives you some cool street cred.